History is never more alive than when you’re walking through it. The smell of earth long-trodden by pilgrims; mountain vistas unchanged for millennia; the feel of weathered wall, built centuries before… To hike amid such echoes of the past is as close as you’ll come to travelling back in time. This book will lead you on a grand tour of world events, from prehistory to the 21st century. Meandering along 500 historically resonant trails, A History of the World in 500 Walks is learned but light-footed and never pedestrian, combining inspirational and knowledgable commentary with practical detail. 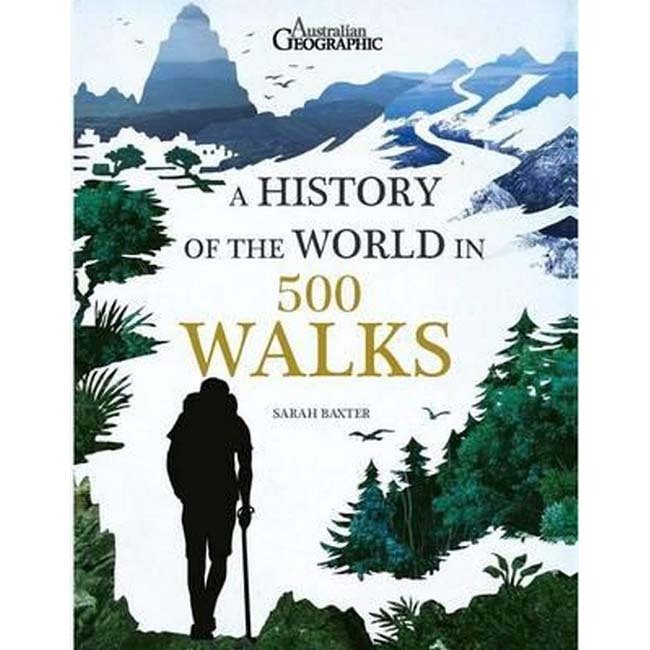 Starting at the very beginning, with hikes amid some of the planets most startling geology, A History of the World in 500 Walks strolls towards and presents, via the pathways of the Roman emperors, Mayan civilisations, medieval pilgrims and Second World War soldiers. In its beautifully illustrated pages, you can follow in the footsteps of Christians, convicts, communists, and conquistadores, Aboriginal tribes, high-seas explorers, gold prospectors, silk traders, Buddhists, Berbers, a bard and a barmy Bavarian. The tales are as varied as the terrain they cover – and will likely spur you to lace up your own boots.